Hollywood actress and businesswoman Jessica Alba announced that she is pregnant with her third child. The brunette beauty shared that she and her husband Cash Warren are once again expecting. 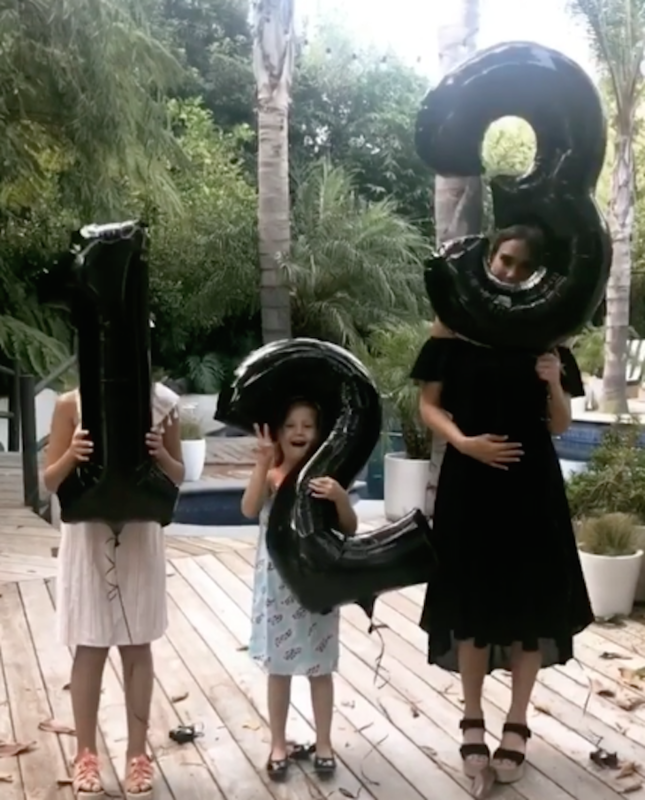 The 36-year-old actress made the announcement on her Instagram account with her two daughters, Honor, 9, and Haven, 5. Her eldest daughter is holding up a balloon in the shape of a 1, her second has a 2 balloon and Alba is holding a 3 balloon with her hand on her stomach. In recent years Jessica has put her Hollywood career on the backburner to focus on her company. In January 2012, Jessica co-founded The Honest Company, a consumer goods company that sells non-toxic household products. Jessica said she was inspired by the birth of her daughter Honor and her own history of childhood illnesses to create a company that provided an alternative to the prevalent baby products with ingredients such as petrochemicals and synthetic fragrances. These days the celebrity mom is juggling her career and her mom duties at home and according to Jessica, it’s not always easy. Back in 2016, Jessica opened up about the mom guilt she sometimes gets for being a working mom. She also told her fans not to let mom guilt get the best of them.